plz tell me...pdf files support on this phone? which is possible to access live tv on this phone? what!!!!! 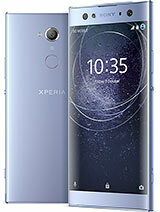 2.3 in xperia x8 can it be?? Where I find android 2.3 or 2.2 for my x8?? Please give me link. how do one upgrade androit 1.6 to be 2.1????? AnonD-20911, 05 Sep 2011how do i change tones for in-coming measages? ?go to settings,choose sony ericsson,the very first menu. you can find there messaging,press it and ther you can change ur sms tone. Now in india i asked them about 2.3 upgrade but they told 2.1 is the latest available version they have!!! Here its written 2.3 is latest, i saw this and bought the cell!!! how do i change tones for in-coming measages?? 9h 17m 50s since unplugged, battery level 95%.